This is the proposed digital way that EU citizens will register their immigration status after Brexit. 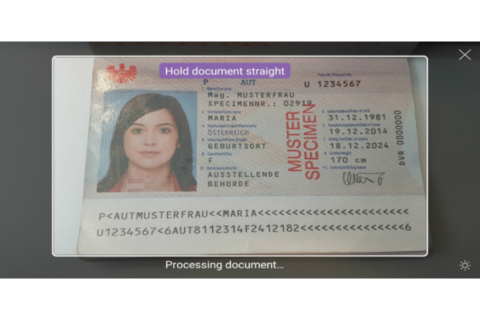 We have had a first look at the EU Settlement Scheme’s dedicated digital app, called EU Exit: ID Document Check. This is the proposed way that EU citizens who want to continue living in the UK after Brexit will be able to upload their information and register their immigration status from March 2019. The app is already in its second phase of private testing, with college and university staff plus NHS workers among those trying it out before its nationwide launch. This guide therefore relates to those currently processing their application via the pilot scheme. What device do you need? Applicants must have an Android smartphone or tablet (such as a Samsung, Google or Sony) with NFC (Near-Field Communication). You can find NFC in your phone settings. Be connected to 3G/4G or wifi. 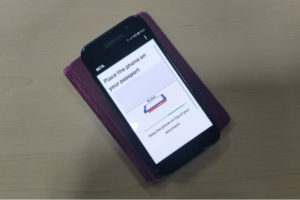 If you cannot get access or don’t have the confidence to use an Android device, then there are 13 locations around the country where you can get help to digitally scan your documents. Verifies that the document belongs to you. You can use your EU biometric passport if you’re an EU citizen, or your UK residence card with a biometric chip if you’re the non-EU family member of an EU citizen. You must scan the photo page. The app should prompt you to capture the document effectively, making sure it’s it’s inside the frame, including the two lines at the bottom of the page (please see picture top left). Click the ‘check now’ button in the app when you are ready to start checking your document. Place the Android device on top of your document when the app tells you to ‘check your document’s information’. A progress bar will let you know when the check begins and when it is complete. Do not move the Android device until the check is complete. If the app doesn’t recognise your document once you have placed the device on top of it, you should slowly move the device around the document until the app recognises it. You will hear a beep if the volume on your device is turned up. If you are using a passport, place the phone on the reverse cover or the photo page if you continue to have problems. The screen will flash as it scans your face. You should hold your phone’s camera in front of your face until the scanning is complete. Children under 10 will not need to scan their face. remove tinted glasses, for example sunglasses. have no other faces in the background. Smith Stone Walters takes pride in our ability to manage the UK immigration process professionally and thoughtfully for each assignee. For more information on how we can assist your business, please contact us here.